This is the sequel of Pamela. 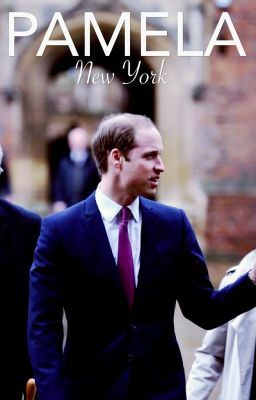 (reading the first book is needed if you want to follow the story) This is a story of a girl who captured the heart of a British Prince. The difference between her and the rest of the girls who dream about meeting a Prince is that she ends up feeling uncertain and terrified of living the dream. This is her second story, after she graduates from school in UK and now moving back to her beloved hometown, New York. She is working for Cosmopolitan magazine, her dream job, and having fabulous nights with her bestfriend. Not only that, two new guys walked into her life: one is a famous talk show host who is so kind and offered her love she never experienced, and one is her boss' boss, an arrogant piece of **** who can't seem to leave her alone. But, will she meet William again? Will they end up together? Every girl wants fairy tale and happy endings with a Prince. But how about Pamela?